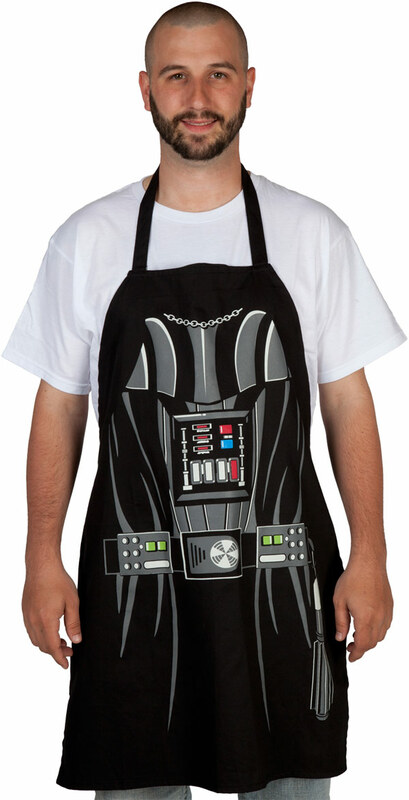 Vader finds your lack of cooking apparel disturbing. 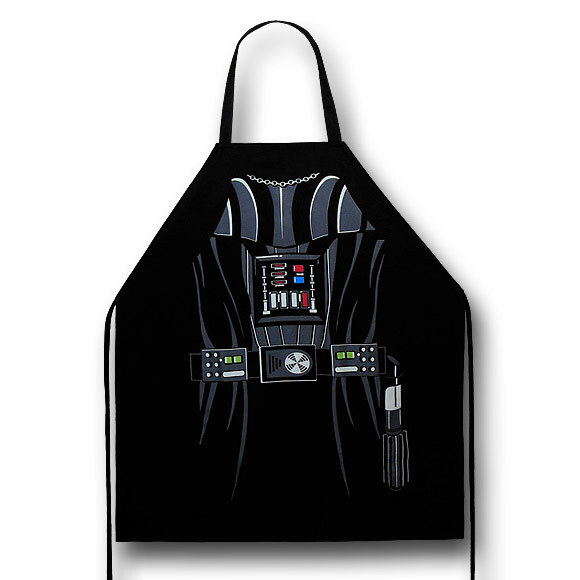 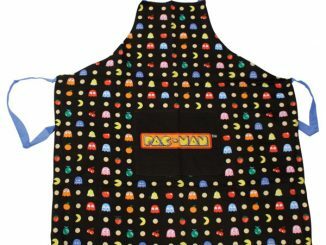 Try this Star Wars Darth Vader Cooking Apron on for size. 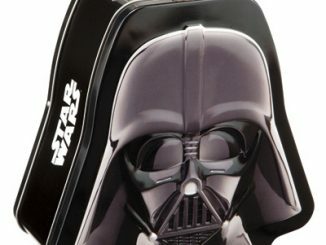 Then cue up the Imperial March music and flip some burgers and roast some hot dogs as you make heavy breathing noises. 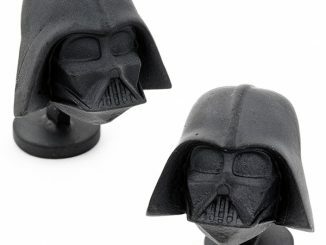 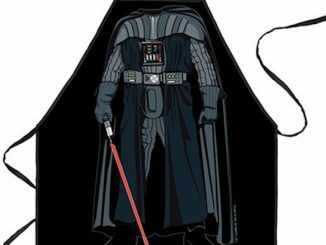 This one size fits most Star Wars Darth Vader Figure Cooking Apron will make you look just like the Dark Lord of the Sith. 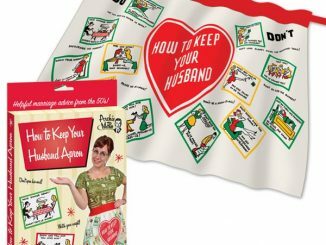 It will also protect your clothes. 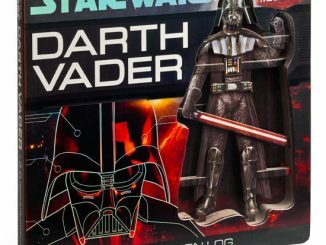 When the Emperor got to Mustafar, he suddenly received this aroma of bacon and became suddenly hungry. 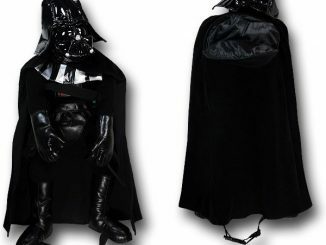 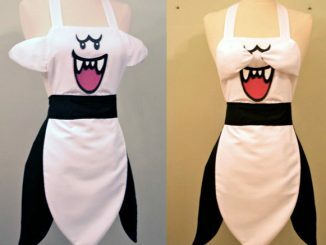 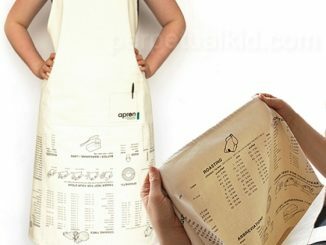 It was lucky he got there in time to save his newest apprentice, Anakin Skywalker, in order to transform him into the one size fits most Star Wars Darth Vader Figure Cooking Apron! 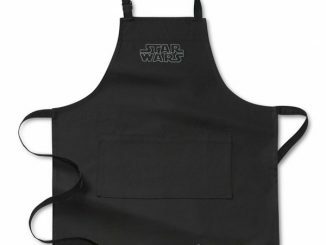 Measuring 30.5 inches high by 26.5 inches wide, the Star Wars Darth Vader Figure Cooking Apron will probably help you channel the Dark Side…which will help you determine when the burgers are done! 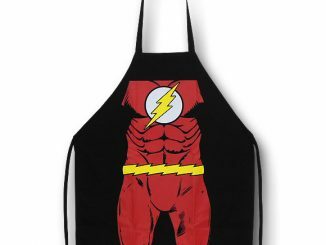 It measures 30.5 inches high by 26.5 inches wide and is $25.99 at Superherostuff.com, $22 at 80stees.com and $21.95 at Convenient Gadgets & Gifts.